On 23 March at 7.00 p.m., the Aviation Museum will resound again with the voices of the Krakow Opera Choir. Due to this special event, the Polish Aviation Museum building will be transformed into a concert hall. The first concert of the Choir took place in April 2012. This time it will be accompanied by two soloists, as well as by the Krakow Opera Orchestra conducted by Tadeusz Kozlowski. The Krakow Opera Choir under the musical guidance of Zygmunt Magiera will perform the greatest hits of choral music and excerpts from the most popular operas, including G. Verdi’s ‘Nabucco’, ‘Aida’ and ‘Il Trovatore’, R. Wagner’s ‘Lohengrin’ and K. Szymanowski’s ‘King Roger’. 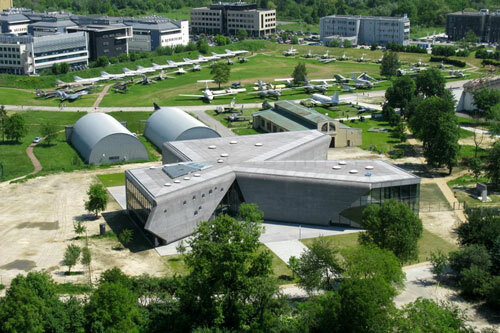 Completed towards the end of 2010, the Polish Aviation Museum in Krakow has a design that is inspired by aeronautical themes. Situated on the site of an old airfield (the Rakowice-Czyzny airport), from above the building resembles an aircraft propeller. The hall of the museum has been declared the finest concrete building of its kind in the world. It has also been awarded the best Polish Institutional building of 2011.